My Five Favourite TV Shows of 2011. It’s that time of year when everyone’s compiling lists, and I do love a good list so I thought it was a bandwagon I’d happily jump onto. I’m going to do three lists of five items, my favourite TV shows of 2011 on Tuesday, films on Wednesday and books on Thursday. Oh how I love this show. For starters it has a great cast playing brilliant characters, the team of five are all well developed and interesting and the women are as cool and capable as the men. The relationships between the team members reflect the friendship the actors all have off the screen, they are all so believable and wonderfully entertaining. Then there are the plots, each episode sees the team pulling off a con or heist, acting like modern day Robin Hoods. These are slick and clever, and often leave me very impressed by their inventiveness. I decided to give this a go after hearing Dave and Barry of Geek Syndicate discussing it on a number of episodes of their podcast. Within the first couple of episodes I was hooked, the friendship between Steve and Danny is a brilliant snarky bromance that drew me straight into the show. There are some great characters, I’m particularly enjoying seeing both Daniel Dae Kim and Masi Oka in shows that don’t frustrate me at every turn. 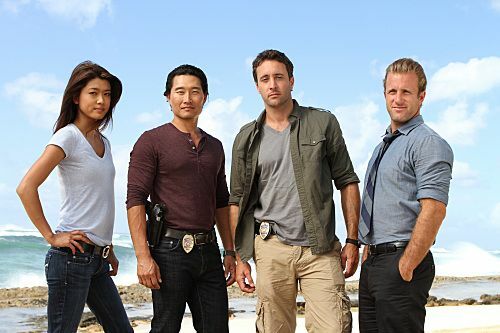 Hawaii Five-0 is definitely a new favourite for me. This year’s series of Doctor Who brought me my favourite guest character yet in Canton Everett Delaware III, a new episode to add to my list of favourites in The Doctor’s Wife, and a fantastic Christmas episode. 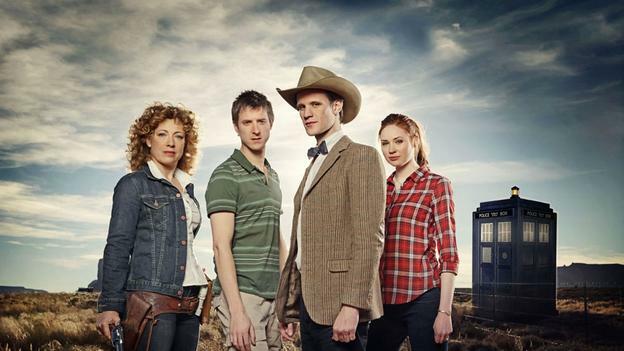 It also brought the Doctor wearing a Stetson, a small detail but one that made me very happy. Whilst the series arc was a little convoluted, and at times seemed to be forgotten, the individual episodes ranged from entertaining to downright brilliant. The Christmas special has left me really looking forward to next year’s series, even if we do have to wait until the autumn for it. 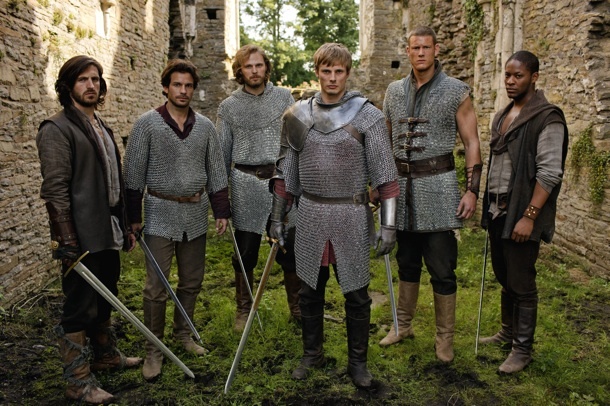 After last year’s Merlin introduced a core group of knights I was really excited to see how the show evolved with these new characters. Whilst it’s always nice to see Arthur and Merlin’s friendly bickering it has been so good this year having a range of characters. I love the sense of fun and camaraderie there is between the knights, and I look forward to seeing much more of them next year. I only wish that Morgause had stayed for longer and that Morgana had had a little more to do during the series. I know I said this list was in no particular order, but I have saved the best for last. I cannot begin to draw together my thoughts about the series in just a paragraph, I’ve been trying to write a blog post about the series for months and am still struggling to write clearly about it. I watched all five seasons in about 6 weeks, and haven’t stopped thinking about it since I finished it back in September. I started watching it because I saw people on Twitter talking about it, I never expected to love it anywhere near as much as I did, I think it has probably jumped to the top of my all time favourite tv shows list. I shall definitely make sure I get that blog post finished in January. What have you been watching and loving in 2011? Previous Post The Kindle – A Year On. Next Post My Five Favourite Films of 2011. I am waiting very patiently for your Friday Night Lights post… 😉 I’ll add Leverage to my list for next year. It is very hard because I want to make sure I do it justice. I really must get and do it though. I do hope you like Leverage. You have an awesome taste for series. Gonna give a go to ‘Friday night lights’.